Chosen by Nick Ray Ball CEO of Villa Secrets. 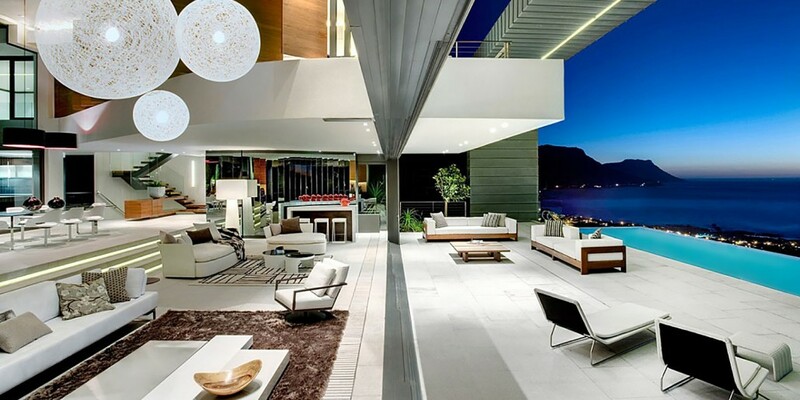 Wow factor, and such a view from Africa’s most exclusive address. 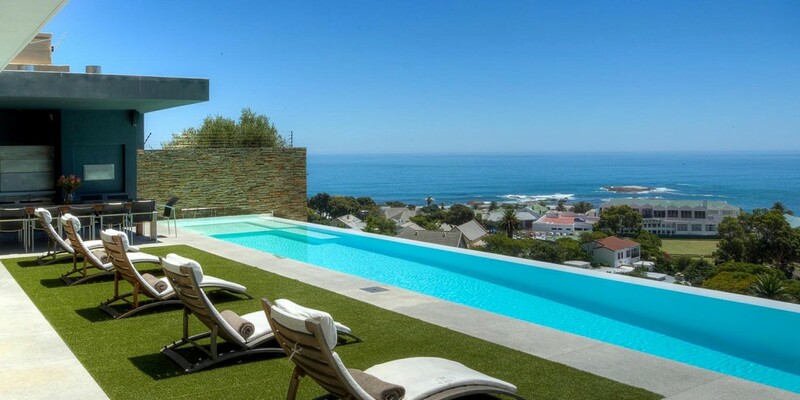 This 6 bedroom ensuite villa will definitely leave you breathless as you stand on the terrace that flows from the open plan living space, to reveal a breathtaking view of one of the most stunning bays along the Cape Town’s coastline. Fully furnished, this 5 bedroom – 3 ensuite bathroom property is a mere stone throw away from the beach. 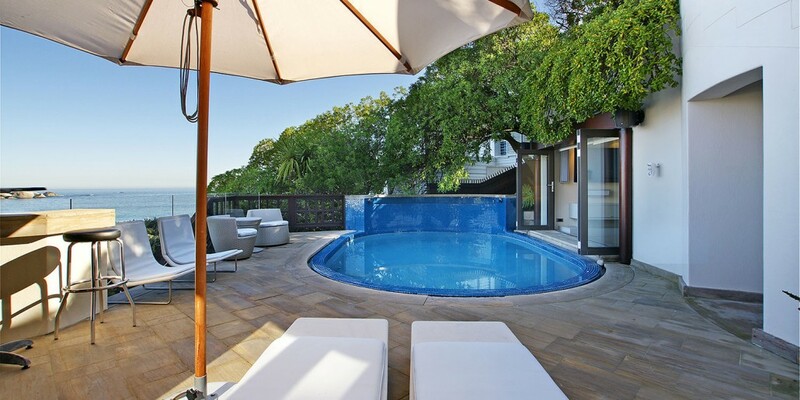 You can take a dip on the heated pool or bask in the breathtaking views on the deck. Gloriously light and airy, this villa offers the supreme comfort and privacy. 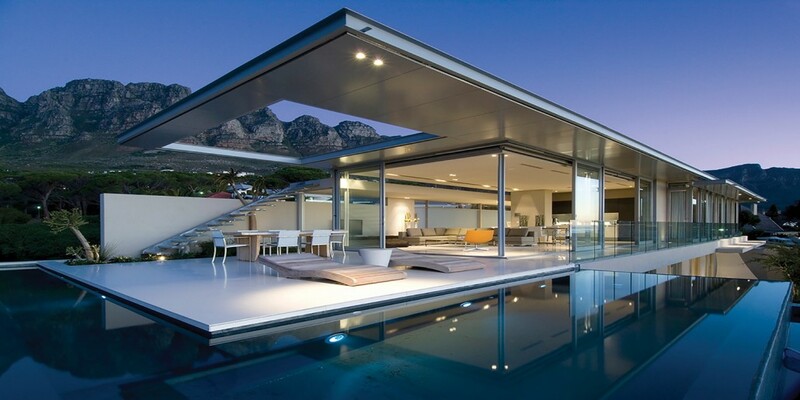 Winner of House & Leisure “ SA House of the Year” – 2009 designed, by award winning architect Stefan Antoni, inspired by the secret agent, 007, the house oozes sophistication and elegance. The seamless flow between the indoor and outdoor living areas, ensure that the view feels like an extension of the house. A perfect villa for anyone wishing to vacation close to the ocean. 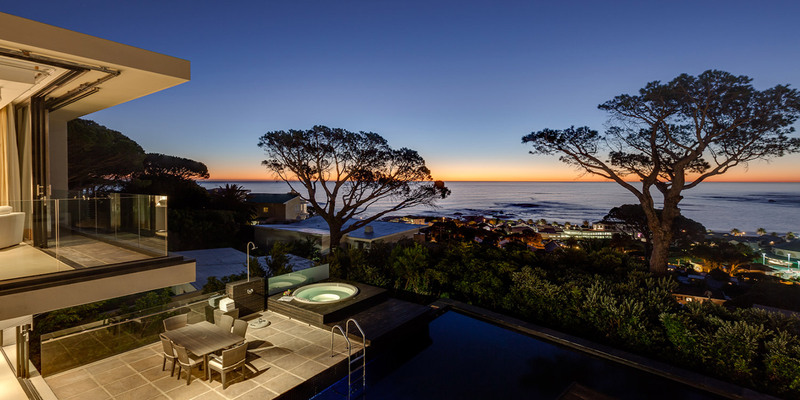 With bedrooms fully offering 180° scenic views fully equipped with en-suite bathrooms and automatic sensor lighting, the Oceana villa is conveniently a 5 minute walk to the finest blue flag beaches, boutiques and restaurants Cape Town has to offer. This extraordinary Camps Bay Villa, widely acclaimed for its integrated design, demonstrates the unique union of natural elements making the scenery a seamless extension of the design. 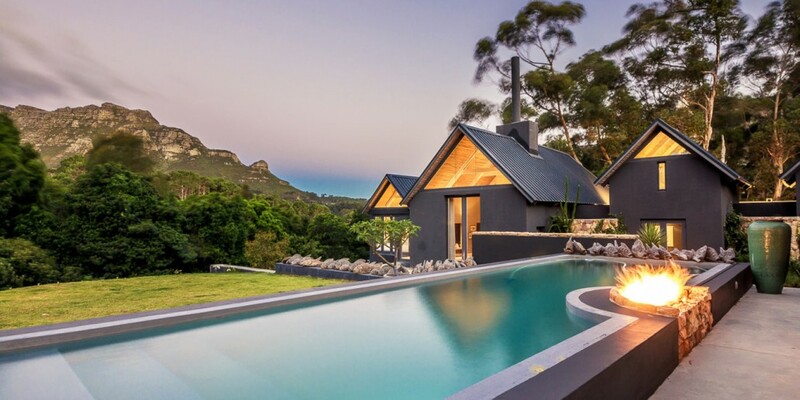 With an exceptionally long L-shape pool with a magnificent timber deck, the house is especially designed with grand scale entertainment in mind. Aenean commodo ligula eget dolor. Aenean massa. Nulla consequat massa quis enim.Donec pede justo, fringilla vel, aliquet nec, vulputate eget, arcu.In enim justo, rhoncus ut, imperdiet a, venenatis vitae, justo. Nullam dictum felis eu pede mollis pretium.Integer tincidunt. Cras dapibus. Said to be the benchmark in contemporary seaside living, prominent architect, Stefan Antoni spared no expense when he planned this architectural masterpiece. 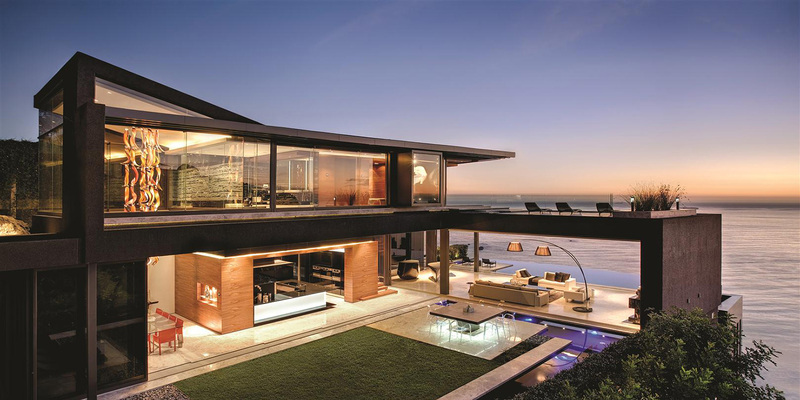 The Pentagon villa is an artful culmination of seaside and mountainscape elements incorporating it into one ultra-luxurious villa.